A horse carriage ride is a special way to ‘tour’ charming Salzburg. Do you know the Austrian word ‘Fiaker’? 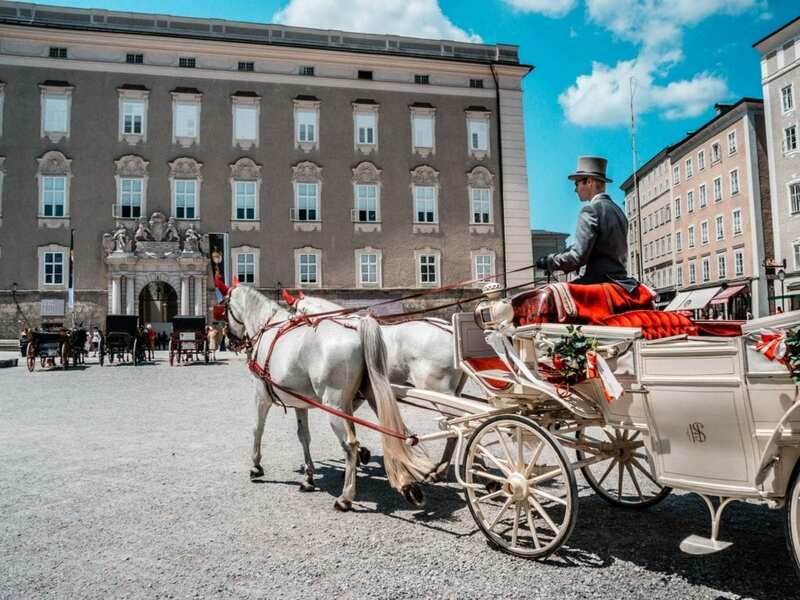 It refers to the gorgeous horse-drawn carriages you can find iN Salzburg or Vienna. Taking a tour, if only for a few minutes, is a special way to ‘tour’ the historical city center. If you can splurge, we recommend to enjoy this experience for at least 30 minutes, ideally even longer as you will not only see the sights from a different perspective, but also hear lots of stories from your ‘driver’.